Music production once meant getting into a studio. Portable multi-track tape and later the computer liberated us from that, and the “bedroom studio” was born. When capable Palm handhelds hit the market, musicians imagined yet more mobile means of production, and everything from Game Boys and PSPs to phones, even before the iPhone, have been pressed into on-the-go music-making service. In all that time, though, the way you actually make music in your palm has been a work in progress. 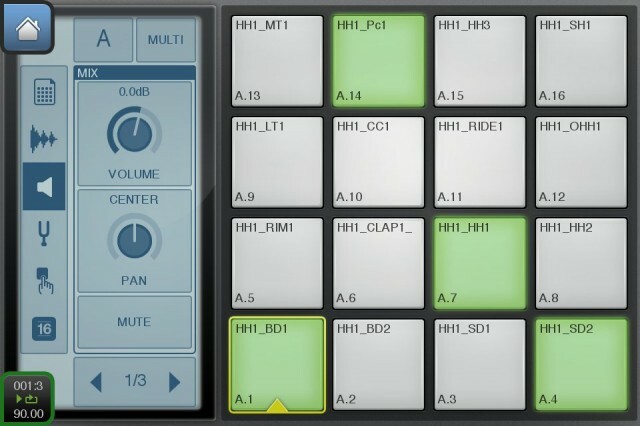 Intua’s BeatMaker was one of the first applications to demonstrate what might be possible on Apple’s handheld, and a radical new version looks like the new generation it is. 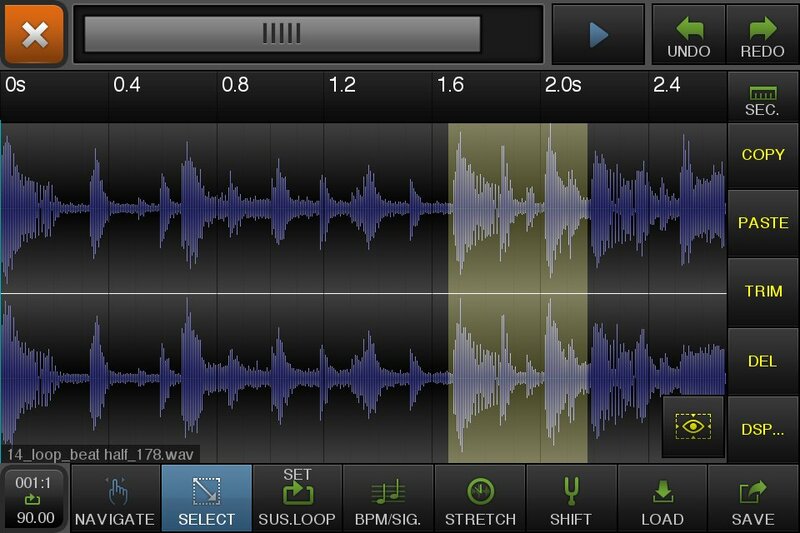 A drum sampler, keyboard sampler, mixer, sequencer, wave editor, and effects combine into an integrated “studio” on your phone (or iPod touch, or iPad), and there are features for exchanging files with other apps, your desktop computer, and the Web (hello, SoundCloud). 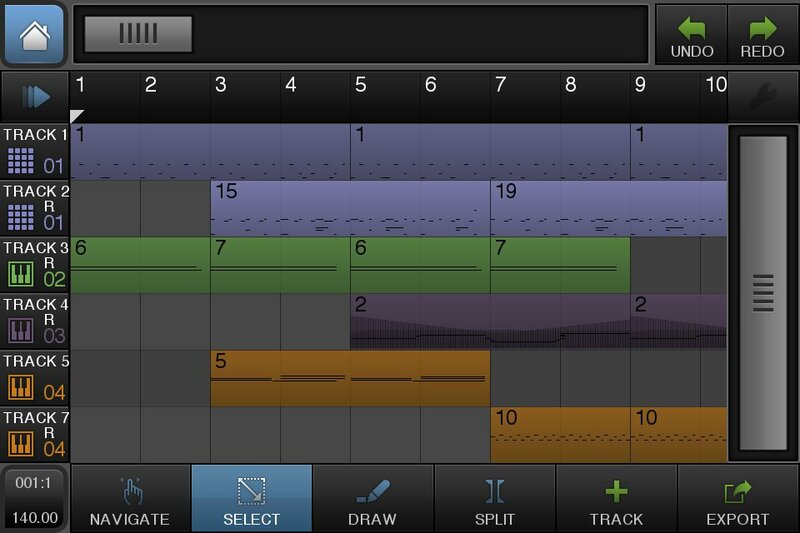 It’s a pocket workstation – maybe even a pocket DAW. See below for an exhaustive set of features and more high-resolution images of the interface. Cost: US$19.99. Whether you’d want to use this and nothing else to me is immaterial, novelty aside. If that makes you happy, do it; I’m sure for others, this will be more like a handheld sketchpad. We’re getting quite positive feedback on the workflow. BeatMaker tools such as the Wave Editor, iPod library import, and particularly the Chop Lab, are getting quite a lot of interest. It’s perfect for mashups, remixes, and overall sample-based composition. Moving audio between 2 apps is still done via the iOS pasteboard, not very optimal, but it’s acceptable, and got better with iOS4 multi-tasking. 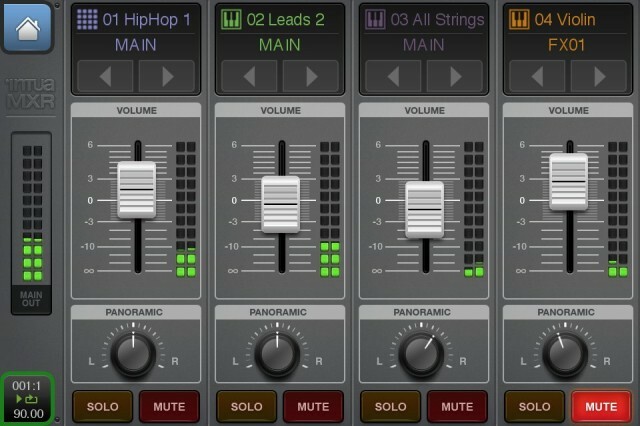 People seems to consider iphone apps almost as portable DAWs. The market quickly evolved from the “casual” music app, to a pocket-sized version of their studio / setup. 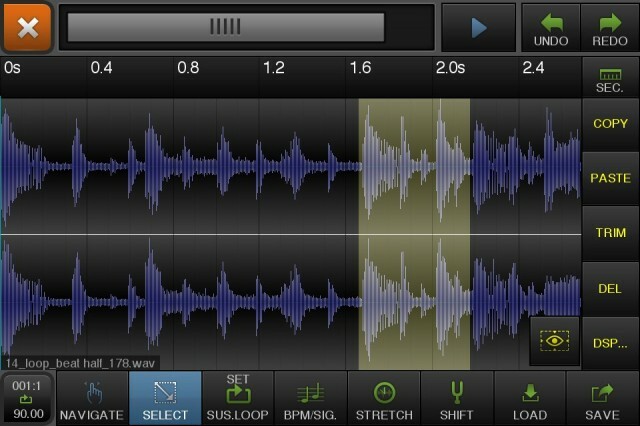 One of our featured artist, DJ Shag composed a full album entirely with his iPhone. 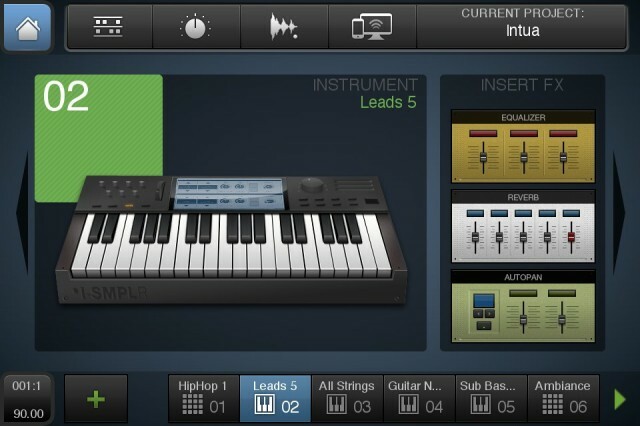 People are definitely working around the limitations quickly, we are still astonished by what came out of BeatMaker 1. SoundCloud integration is getting a lot of interest too, which is a must have for every music app, I think. Their API is clean and easy to implement, definitely a plus for software developers. It’s a timesaver for the end-users as the compression and transfer are done automatically. We’re looking into DropBox too (coming on the next update), as it’s just great for centralizing projects, preset and samples remotely. We’re implementing CoreMidi, which was recurrently requested in just 3 days. It was already planned when Apple dropped their beta iOS firmware. MIDI learning, velocity and a bunch of knobs will come out handy, that’s for sure. Still, there’s a lot to improve on the mobile / desktop interaction, especially when importing projects done on a mobile device. This should be seamless for people and not to have to manually export WAV, MIDI, etc. We’d love to hear back from you and other dev’s, let me know what you think! – 10 effects to choose from: Reverb, Compressor, Filter, Delay, EQ, Flanger, Chorus, AutoPan, BitCrusher, Overdrive. I too am a big fan of self-contained musical instruments. They are a nice complement to the essential attributes of a mobile device like the iPad. But I have to wonder if the bar isn’t being raised too high for many independent developers trying to participate. It’s also resulting a vast landscape of insular music apps. Desktop music production has benefited immensely from modular tools and structures. Sure the pendulum swings both ways between plug-ins and buss protocols and then back to integrated suites. But it’s hard to argue that many advances in the state of the art of electronic music production haven’t come from focused special purpose plug in instruments, effects or hosts. In contrast, modular music software is pretty much impossible on iPad unless you make the jump off of a single device. At that point a lot of the advantages of mobile devices get lost in a maze of cables and protocols. We are left with is less-capable copies of what has been possible for many years with TablePCs and Lemurs. On the other hand, when you look at the popularity of some tools in both hardware and software, specialization – with a payoff in simplicity – can often be an advantage. In that event, it’s really a question of whether these mobile apps will be able to be modular in the way these other tools have. That raises lots of questions in engineering and design, but they could be engaging questions, whether you’re build an iPhone app, a desktop plug-in, a hardware synth, or an effect pedal. With these questions about, you know, actually making music in mind, if you’re using BeatMaker 2, we’d love to hear from you. The novelty or popularity of one platform or another has never been nearly as interesting to me as discovering the different ways in which people use the tools to be creative.